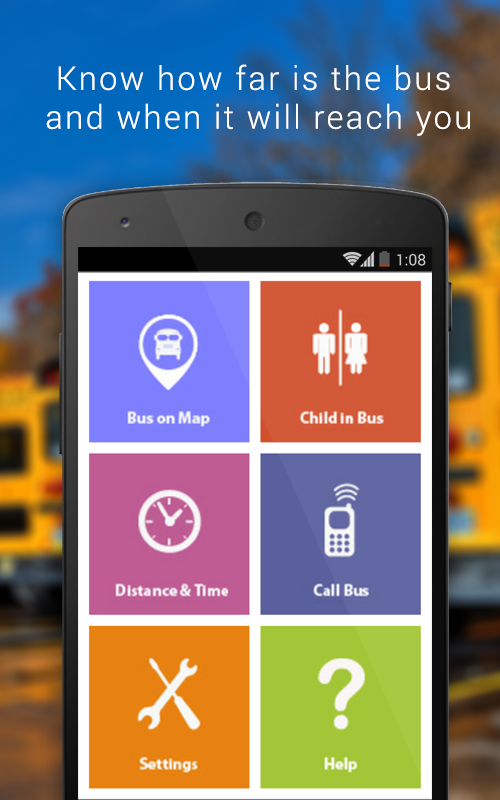 This app comprises two modules - 'Ez School Bus Locator-Parent' and'Ez School Bus Locator-Attender'. Both these modules work togetherand need to be downloaded separately from the Google PlayStore. 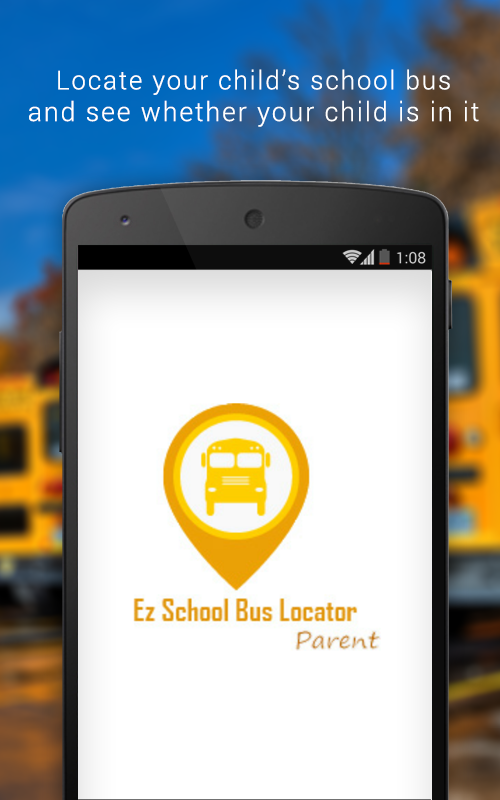 Schools who want to use the Ez School Bus Locator mobile appsolution need to generate QR Codes for each student (one timeprocess) to store his/her parent’s mobile number and the StudentID. A free custom QR Code Generator tool that we have developed(using Visual Basic programming) for you is available for freedownload. Please use this (tool) for generating QR Codes for yourstudents. 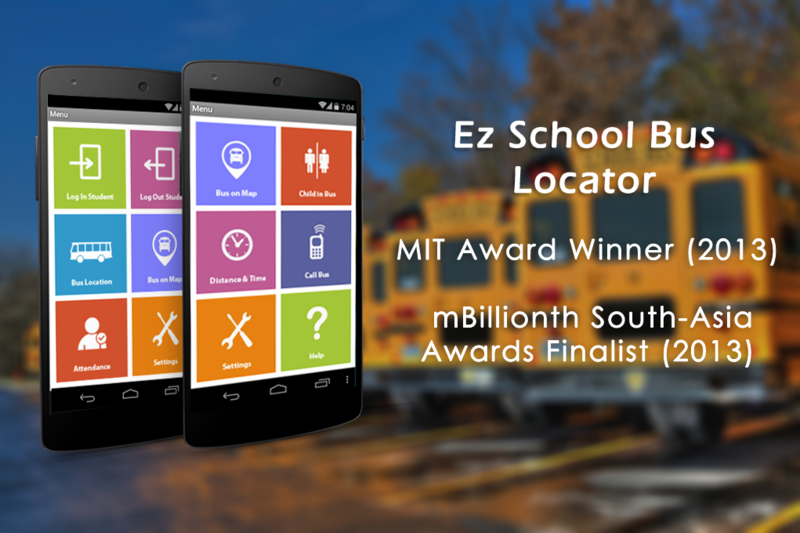 'Ez School Bus Locator' app solution, developed by Arjun - aseventh grade school student from Velammal Vidyashram School inSurapet, Chennai, India - helped him win the first prize (K-8Category) in the Massachusetts Institute of Technology (MIT) AppInventor App Contest held in December 2012. The judges praised thisapp as 'one of the most creative and well thought out apps of anyage group in the contest'! 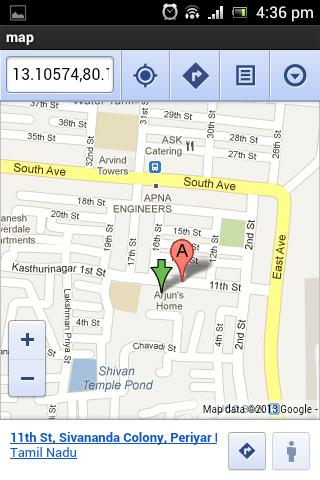 'Ez School Bus Locator' app is brought to you by LateraLogics, aChennai-based technology start-up founded by Arjun. Please check www.LateraLogics.com for more information. Durham Bus Tracker allows you to view any of your student’s currentschool bus location and information about the route in real time.On the map, you can see multiple stops along the route, includingthe expected arrival times for each stop. You also have theopportunity to view the information from a satellite view. Simplyinput the necessary information for each student. Get the latest public transportation route schedule and real timetransit information from transit agencies and users.► Commute Info:Get all commuting options and estimated time between home and work,nearest live train station, nearest metro station, weather.► Bestroute: Find the best route with live traffic updates and alerts ondisruptions, delays, bus breakdowns etc.► Share Trip: Share yourreal-time location using GPS tracking, with any of your family,friends or co-workers for a specific time.► Reports/News feed:Discuss and chat about latest happenings related to commute. Getlatest transit updates from offical twitter handles and users. Youcan also be reporter of your area by reporting on traffic, newservices, delays, diversions etc. ► One Commuting App: Get completepublic transport info in a city through iCommute.► Offline: Accessroutes and timetables of Bus, Suburban, Metro services even withoutinternet.► Nearby: View the nearest stops from your currentlocation and retrieve all the services passing through your area.►Favourites: Add the services that you travel often and retrievethem in a single tap. We will send alerts when your favouriteservices are affected.► Route fixes: Help community by fixing thewrong stop, routes.Supported cities:1. Chennai - MTC bus, Suburbanrail, CMRL Metro2. Bengaluru - BMTC, Nammametro, Southernrailways3. Hyderabad - MMTS, TSRTC-------------------iCommute iscurrently getting incubated in mobile10x.in, Bangalore aninitiative by Internet and Mobile Association of India (IAMAI)supported by Government of Karnataka, Google, PayTM, Vserv andAmazon.iCommute also got selected for fbstartprogram.__________Like us at https://www.facebook.com/icommute forregular public transit updates__________### In the media:The Hindu:http://bit.do/chennai-mtc-bus-appTimes of india:http://bit.do/chennai-suburban-train-timings-apphttp://bit.do/bmtc-bus-routes-and-bus-numbers-app Dinamani:http://bit.do/chennai-mrtsDT Next:http://bit.do/chennai-metro-train-appThis app is not affiliatedwith any public transit agency. 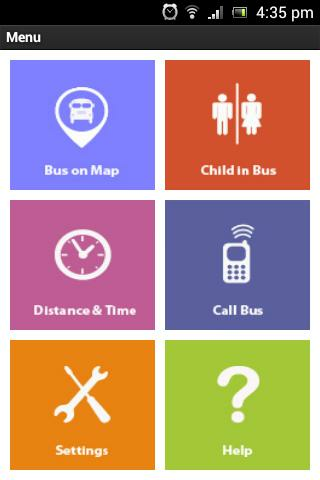 Application was developed specifically for parents serviced by"Schoolbus" LLP. Every single mom and dad can monitor all the busesin online mode, receive notifications and get more informationabout the route. Driver / Attendant Module for School Bus ETA Tracker & ParentAlert Service with RFID card reading capability when downloaded inNFC smartphones.